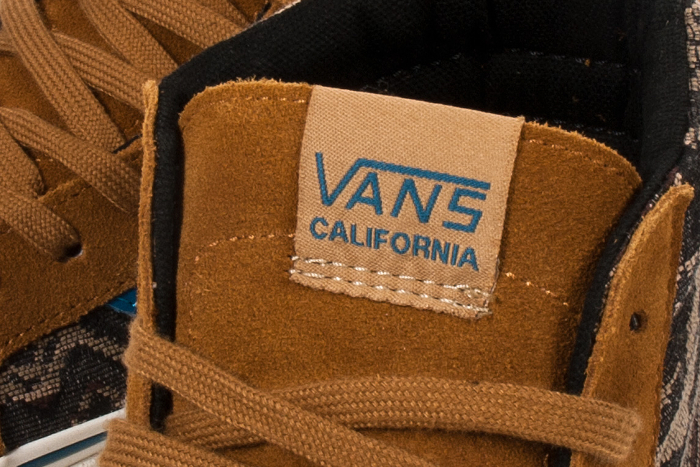 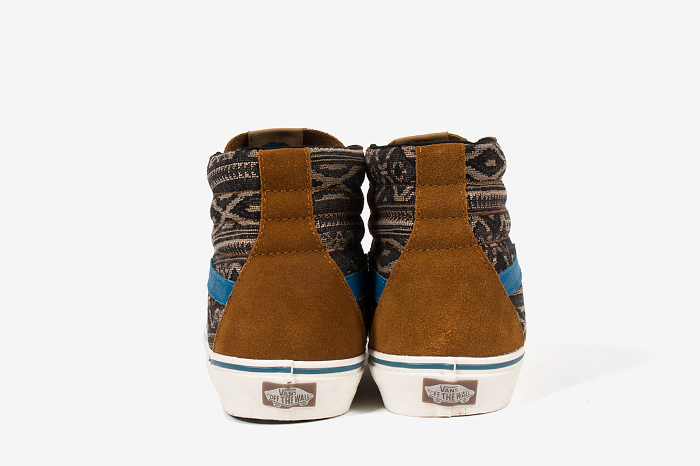 Vans deliver a trio of brown and blue coloured styles under their California umbrella for the Holiday season. 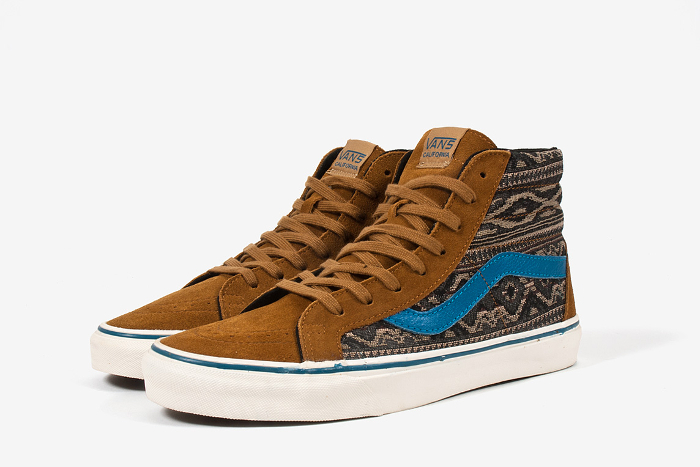 The latest drop includes an Era, Old Skool and Sk8 Hi each featuring suede and leather elements for a premium finish. 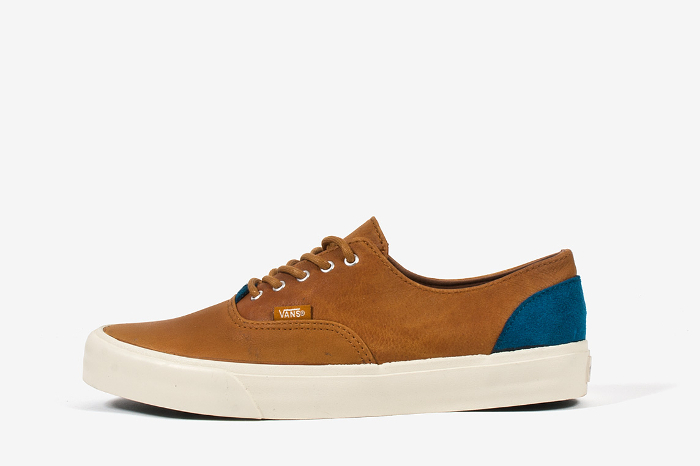 The Vans Era Decon is coated in a rich tan leather and features additional ‘Blue Sapphire’ suede panels on the heel and beneath the laces. 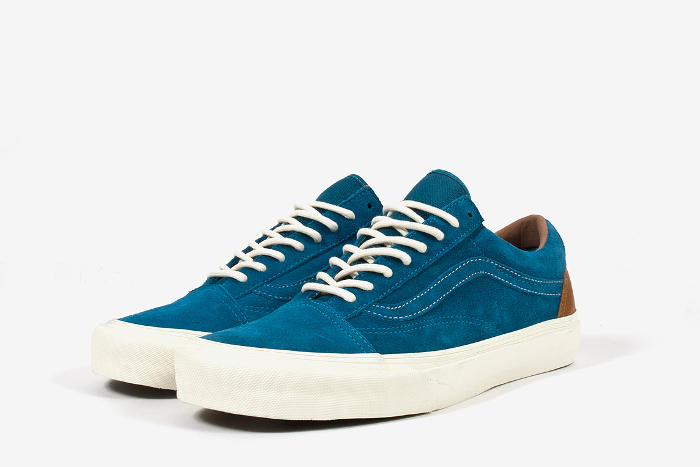 The absence of the padded collar on the Era Decon (‘deconstructed’) gives it a similar look to the Vans Authentic with a slightly higher profile. 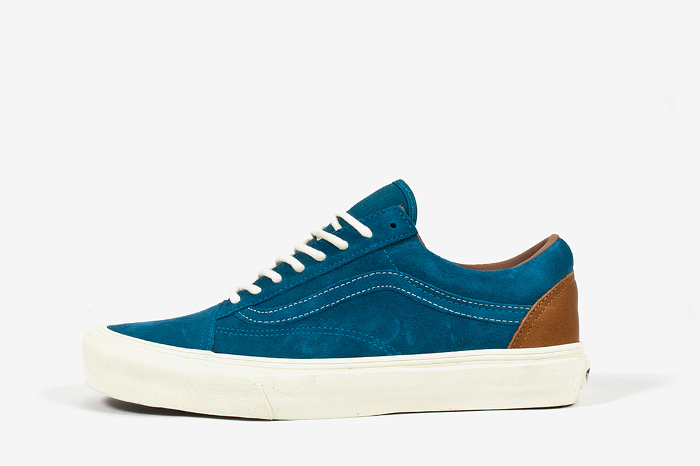 The Old Skool is my favourite Vans silhouette, so it’s no surprise that the blue suede rendition in this pack is the winner for me. 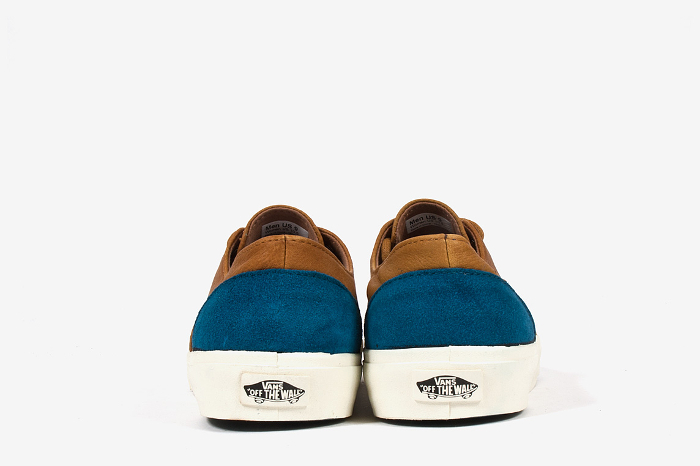 It features the reverse make up to the above Era Decon with a tonal sidestripe and the off-white sole and round laces providing a perfectly clean contrast. 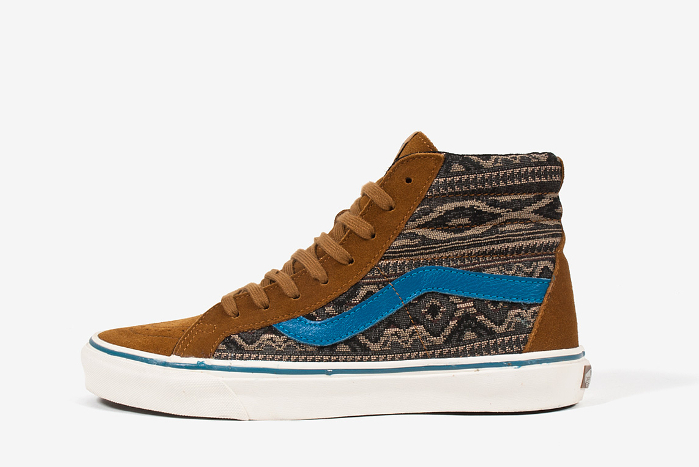 The run is completed by the brown suede ‘Inca’ Sk8 Hi with a woven shawl style material covering the lateral and medial sides, the contrast coming from the blue leather sidestripe. 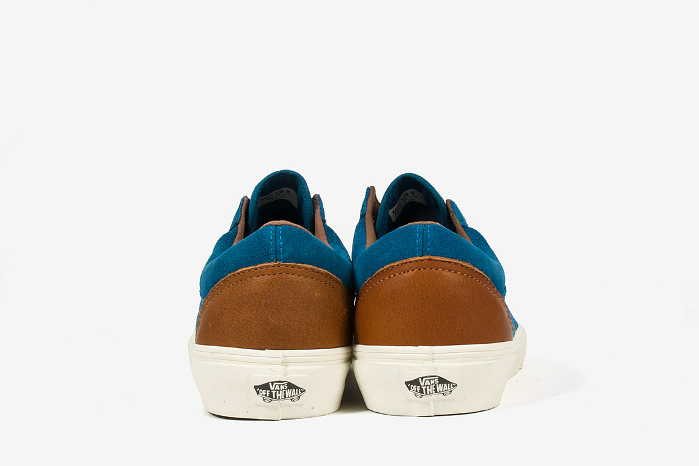 The three styles work well together, and while each is available in other colours this season, these are certainly the better options. 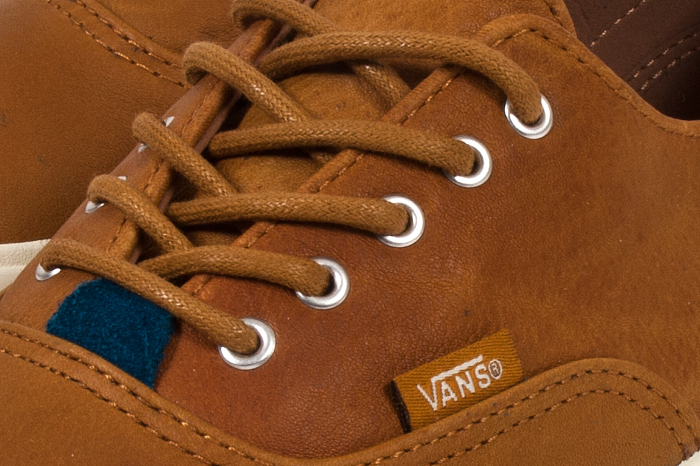 All three are available from The Chimp Store now, get a detailed look below.